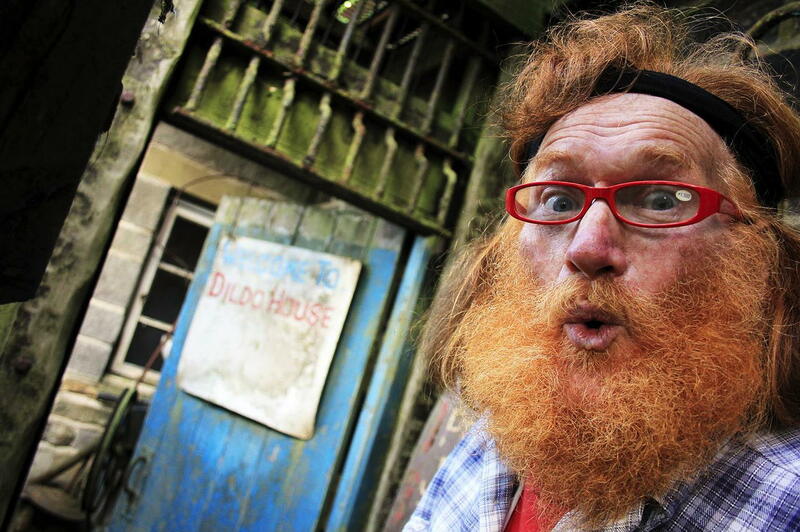 Documentary director Michelle Heighway’s portrait of Huddersfield eccentric Jake Mangle-Wurzel digs beneath the surface ridicule of unconventional living outside of society’s norms to discover how one man saved himself from the depths of despair by becoming a larger than life figure who refuses to conform to the mores of others. Coming off the back of its well received festival run, which began with a world premiere at Sheffield Doc/Fest, we revist our previous interview with Heighway and also get the low down on her current Indiegogo campaign to release the limited edition DVD of Mr. Somebody?. How did you make your way to documentary filmmaking? I was very into photography and visuals. I’m an extremely visual person so it was the visuals that came first to me. So because I was influenced and intrigued by film I decided to do television production at university. When I finished I did a few experimental films, experimenting with colour and sound – I’m very into music as well – and then it was just a natural progression really. What is Mr. Somebody? about? 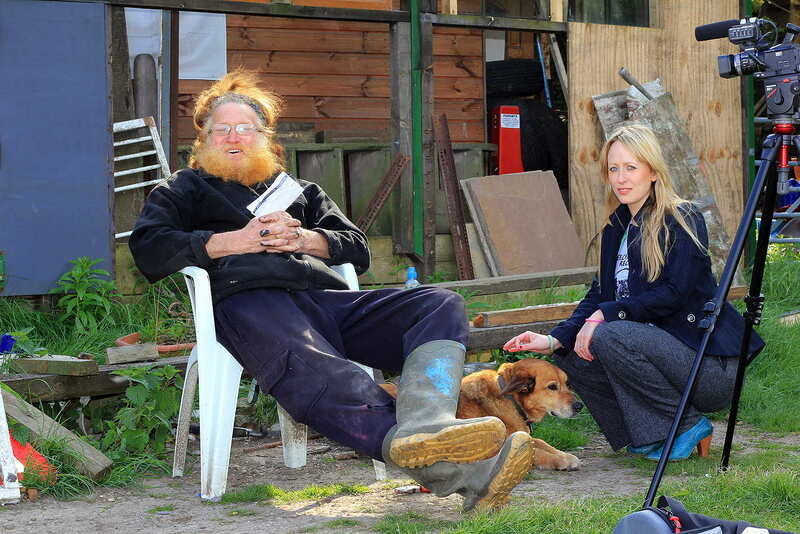 It’s a portrait of the life and times of Jake Mangle-Wurzel. I came across Jake, who I’d known about throughout my life, and I felt compelled to get to know this man and make a documentary about him. 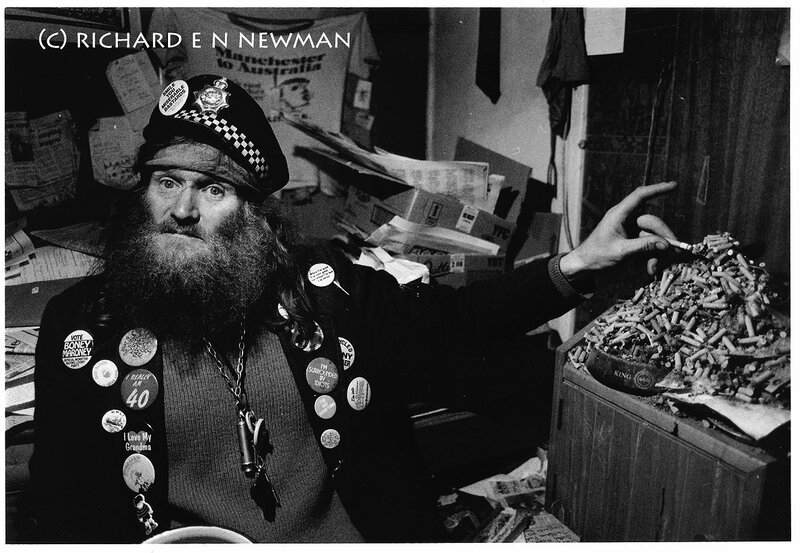 He was very famous throughout Huddersfield in the 80s for being eccentric and then he went inward and was just this incredibly enigmatic character. 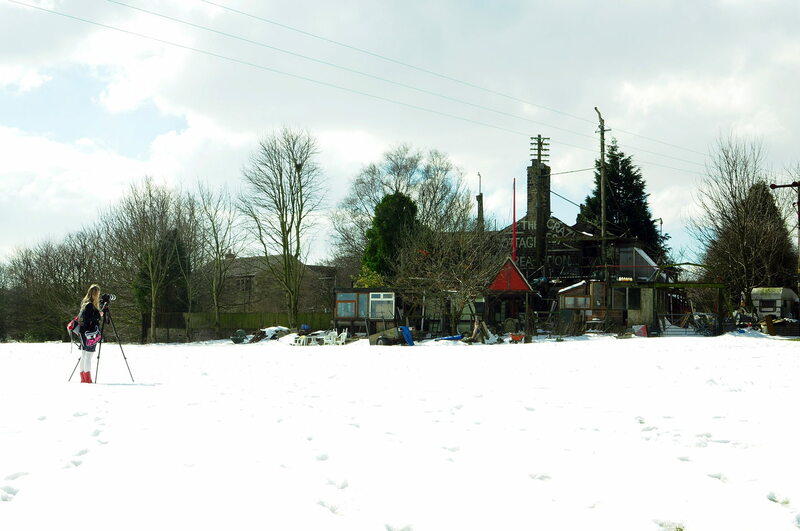 In the documentary you find out how and why he became this unusual person that everybody knows in Huddersfield today. It’s crystal clear that Jake’s not a fan of people so how on earth did you get him on board with the documentary? Well at first he kept saying that I was 10 years too late but because I was so passionate about finding out about him and I was genuinely intrigued to spend time with this man, I just organised times to meet up with him and we’d film and chat to each other As time progressed I think that we built up a really strong relationship and he could trust me. I was incredibly genuine to him, he could see that, and that’s how it worked really. We gelled well together. How long did you wait before the camera started rolling? I was so excited to have my new camera that we started rolling immediately. It was so much fun just to be on Wurzelland with all these unusual outsider art figures in the garden. We’d start off outside and I’d look at all the unusual mannequins and things, and Jake was really excited to get out all of his archive magazines. He even had a massive sack of short documentaries that filmmakers in the past had made about him. I opened up this sack and it was full of little VHSs, some of those are in my film. They’re really beautiful and really do tell the story of how Jake was in the past. You see this incredible journey of how he’s saved himself from the depths of despair and changed himself into this incredibly fascinating eccentric character. You see this incredible journey of how he’s saved himself from the depths of despair and changed himself into this incredibly fascinating eccentric character. Given the decades of history Jake’s story unfoldeds over was it hard to settle on the spine of the documentary? It was incredibly organic. All I wanted to do was find out how and why he became so unusual. I was just happy to be there. He was really good at telling me all about his past and showing me all of these things. After maybe about 10 months he was forced to clear his yard by the local council. I thought, OK so you’ve got to have some kind of backbone to a documentary, this is an important factor in his life and we can build everything that we’re learning here around the fact that he’s clearing the yard. So every time I went to meet Jake he’d cleared his yard a little more so you saw the progress of that, but also his story and his past and the present developed as well. What was your equipment set up for the documentary? I used a Sony A1, they take mini DV tapes so probably not the best thing to use now. For sound I just used the external mic on the camera, that’s all I did and it seemed fine. At the National Film and Television School they’ve got a big post production house and I did use a sound designer called Peter Warnock who is a graduate of the NFTS. He equalised the sound for me and took out anything that needed to be removed, to make it sound more broadcastable and perfect. As a self-funded documentary how did you balance life, work and Jake over the several years it took to make Mr. Somebody? It became second nature to me. For the first year I worked Monday – Thursday, so I’d spend Fridays with Jake. Then for the last four years I was working full time and also doing music photography on an evening. When you’re so obsessive about something it becomes your life and, to be quite honest, you don’t have time to go out with friends very often or even see your family, it just becomes your life. You have to be that involved with it to get somewhere with it and to finally finalise it. So I’d spend my evenings editing. I’d go and film Jake on a Friday or Saturday whenever I could, then I’d go home, I’d capture the footage, edit it, look at it, rearrange it again. That’s what I’d spend my time doing and that’s what I loved doing. I buzzed about all the different aspects and factors of filmmaking not just one section. Shooting and immediately editing sounds like a nice efficient way to work? Well you could say that yeah. I went home and I captured and edited it, but then when I collaborated with an editor at the NFTS on the fifth year he had to log everything (60 hours!) because although I did log it for awhile I thought, “Well I don’t need to log it, I’m just gonna edit it now,” so I stopped logging it on paper. So yeah, it’s important to log and capture and make sure you make the notes as well, I’ve learnt that. I didn’t do that, I just captured and then edited it! We actually met at a preview screening of the NFTS Film Clinic projects a year ago. How did Mr. Somebody? become involved in that scheme? Well I’ve got the Sheffield Doc/Fest to thank for that, they’ve been a really imperative part of my life as a filmmaker. They’ve helped me develop and understand where to place myself in the world of filmmaking as an independent filmmaker and understand where to go and how to grasp things. Throughout the 5 years of attending Doc/Fest I’ve networked loads and one year I came across a documentary that I was really inspired by called Jason Becker: Not Dead Yet. The editor of that was fantastic. At that point I had a final cut but I kept filming Jake. I was slowly weaning myself off him, but the more I visited him, the more he opened up. He’d tell me about his childhood and how his dad was a little bit violent. I thought that was incredibly important to have in the documentary because people within society and our culture today can relate to domestic violence and how it moulds people in their formative years. He also talked about his relationship with his daughter. I was so involved in the documentary that I needed to have some headspace so I found this guy at Doc/Fest and he said that he would edit for me. However, he got a really important role that he had to take on instead so he introduced me to the NFTS Film Clinic. I sent over my documentary to them and they saw something in it, they knew they could work with me and we could put something together, put the additional scenes in. So I went down to the NFTS in Beckonsfield and I had a meeting with a lady called Lara Agnew who started the NFTS Film Clinic. She also studied at the film school which is the world leading film school and they decided to put this project together and selected 6 or so filmmakers. It’s the first time they’ve done this so it’s been quite a new thing for them and probably quite interesting to see how things will develop. They also got me an editor who I worked with, a sound designer, and a guy who did a grade for me as well. It was interesting working with all of those people from working on my own. It was also incredibly difficult because I was having to share my creative ideas with others, take on other people’s and be able to understand whether their ideas and concepts of how they wanted to change things were correct or not. I think I went down for 5 weeks on and off and we messed around with the backbone of my cut and then added a few other scenes in as well to try and blend a beautiful portrait of Jake. It was a good learning curve for me to work with others and I definitely think it is important, but I do still like the aspect of being incredibly independent. That being said I feel that the film may not be completed now if I hadn’t collaborated. So was it weird having ‘strangers’ weigh in on how best to represent Jake? Definitely! Yeah, nobody could ever have known Jake the way that I did. It was interesting listening to other people’s ideas and the film’s where I want it to be right now I suppose. There are a few scenes in there that are probably a little shorter than they were which would have been nice to have in there but we tried to, as a collective, have it at 60 minutes. We thought it’d be too long if it was longer than that. I’m happy to give it closure and bring closure to the way it’s done now, and release it into the world. It’s hard to release something like that when you’ve been working on it for so long. It’s hard to release something like that when you’ve been working on it for so long. Given the very personal relationship you share with Jake, were you concerned that you may inadvertently portray him as a figure of fun especially once you began working with an editor who didn’t know him beyond the footage? When I worked with Jake I hugely respected him and I would never ever want to convey him in a negative light. Everything that’s in there Jake approves of. I don’t know how the editor perceived Jake in the final cut, but I’d like to think that we’re not ridiculing him in any way whatsoever. Everything that’s in there, even quite personal things about the way that he might go to the toilet, Jake was happy to have in there. He’s mischievous, he thinks it’s kind of fun that he doesn’t go to the toilet the normal way. He’s not ashamed of the way he lives and he shouldn’t be at all. So no. There are several clips of archival footage in Mr. Somebody?, did that mostly come from Jake’s sack of films? Jake handed everything over to me on a plate I didn’t even need to research the man. I’d arrive at his house and he’d just come from the library. He’d sat there for days and got every single article that’s ever been done about him from The Guardian, The Observer, the Huddersfield Examiner, the Yorkshire Post, and he’d just give them to me. There were a few other things that I went down to different press offices myself later on to get better quality photographs and things like that. But yeah, I was so lucky with this documentary. I’m truly grateful of our relationship and the access, because access is so important. We were so close to each other. He was so happy for me to film him. He was just so happy to give himself to me. I didn’t realise that but now that I’m intrigued by other people and wanting to make other documentaries, I’m finding access and trust a bit of an issue, whereas the trust with Jake was immediate really. There’s a scene where you talk to him about his daughter and he blows up at you. Was that a strain on your relationship? We’ve always talked about Jake’s daughter, it went on for a few months. I wanted to try and reunite them but looking back at that now it was a silly thing to do. But no he was fine, he just got a little bit angry and I captured that anger on camera and it just showed how emotional he is about his daughter. It’s real life. It’s a real story. I’ve got to respect this man and he was happy for me to leave that footage in. I was thinking morally was it correct to put that in because I have high morals, but he was fine with that and he’s happy with the content that is within the documentary so I’m happy with that as well. Speaking of difficulties, you and Jake had quite a fractious Q&A session at Doc/Fest. What was behind that? I think Jake felt a little bit left out when I went into London to edit. I think he wanted to be there but unfortunately it’s quite expensive to go down to London and there’s just no way that he could have done that. I think that Jake never took the documentary seriously, I was just a bit of fun, a young girl that lives down the road who came up with the camera and it really gave him something to do with his life. Now he’s seeing that it’s being screened he’s kinda anxious that there are parts of his life that aren’t in there. However those parts don’t have any interest or relevance to me within the narrative of this actual cut, but it’s things that we could put as extras or on YouTube that people can look at that he might want on there. I also think that he’s realistically coming to terms with the fact that our filming is over but it doesn’t mean that our friendship’s over. I think he’s maybe worried about that because you know, he doesn’t see his family often. I’ve been a person that’s been in his life for 6 years now, so I think it’s coming to terms with that as well really. I’ve never been on the neurotic side of Jake when he’s been slightly angered about that, so I think he feels like he wants a little bit more control of what’s happening in our lives right now. The last time we spoke you were thinking about pursuing a theatrical release of Mr. Somebody?, is that still on the cards? At the moment I am releasing limited edition DVDs with a booklet of images. These are set to be released at the end of April 2015! I have Hazel Arthur from the NFTS editing the DVD covers for me at the moment and I also had a lovely designer called Dominika Halas create limited edition badges for me. The badges are one of the perks on my crowdfunding campaign. Why did you decide to go the crowdfunding route for the DVD release and what made you choose Indiegogo over some of the alternative platforms? You asked why Indiegogo? Well Sheffield Doc/Fest have used them a few times for crowdfunding and that’s how I got to know about them. I’ve contributed to around 10 films on Indiegogo myself. I love the idea and opportunity crowdfunding brings to talented passionate people. It’s really a pivotal time for indie film! Other factors for picking Indiegogo: I knew that if I don’t reach my target Indiegogo still lets me keep the money raised, whereas other sites don’t. Also there’s the option to pay in GBP, PayPal and credit card which works well. It’s also easy to navigate. There’s an 8 page booklet which comes with the DVD, what extras will that and the DVD itself contain? At the moment this is a limited edition. The documentary will be the same cut as seen at festivals. The booklet is a lovely bonus! It will contain a nice little quirky piece of info written by Jake along with some old family pics/archive press shots and maybe some images of our time together. I’m still messing with the image options for the booklet. Jake came around to help the other day. He was supposed to come for a hour but ended up staying five hours! He would test the patience of a saint! I had to have a little lie down after he left! He is so incredibly animated and full of energy. It’s all good though, as I think it’s a nice personal touch from Jake with the intro piece we have. We picked out some really amazing photos and a local photographer from the 80s has let me use a lot of his stills that have never been seen (thanks Richard E N Newman!). People often comment on how all encompassing the crowdfunding experience can be. You’re about a third through your campaign now but how have you found the experience so far? Where did you look to for guidance on how to run a successful campaign? I’ve been watching other people and seeing how their campaigns pan out. I also read Crowdfunding for Filmmakers, and I am always reading blogs. One I found inspiring today for tweets is John T Trigonis on “The Tao of Crowdfunding: Twitter Tips for Crowdfunders”. I figured I had a ticked off most of the boxes required to start crowdfunding so proceeded. I knew I’d have to spend many hours per day and really focus on viral marketing and I was, and still am, cool with that challenge. It’s my passion and I love interacting! I’m also writing a little diary of what’s happened every day and the things I’ve done which I can blog afterwards to help and inspire other independent filmmakers to crowdfund Hopefully they’ll find it helpful. It’s been really interesting entering the world of crowdfunding, I’ve been interacting with some really interesting filmmakers and contributors online. I also had an article in the local press a few days ago that engaged people even more, which was great. It was too early for you to say last time but I’m hoping you can give us a hint as to what we’ll see from you next? Head over to the Mr. Somebody? Indiegogo page to find out more about the campaign and the host of great funding perks on offer.